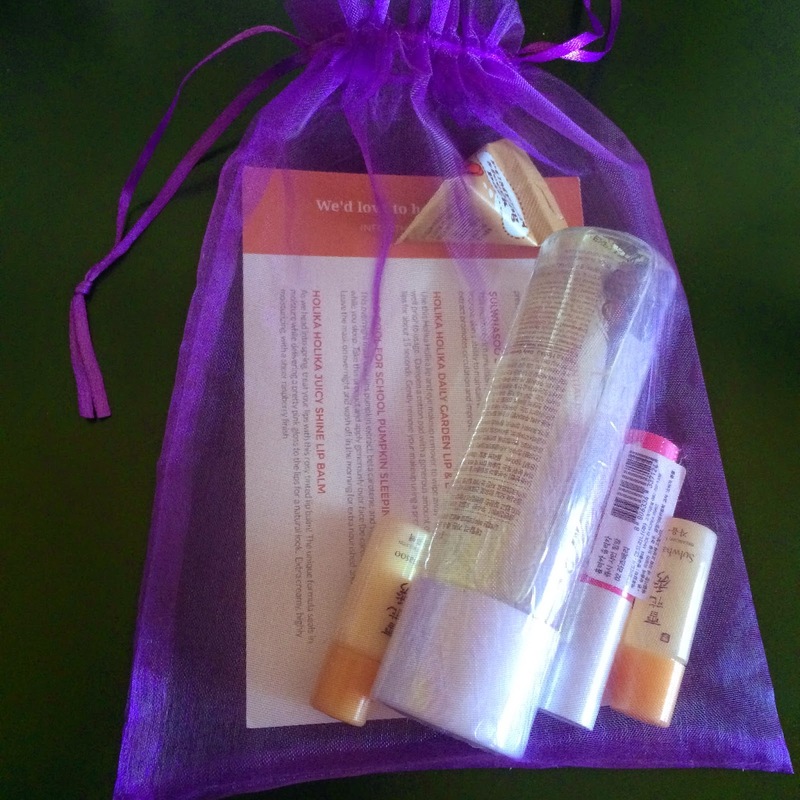 This is the fourth month of 3B (Beauty Beyond Borders), and will warn you right now - that I am super stoked about this months' bag (hint: we get to try TWO Sulwhasoo products this month!). 3B is a new monthly subscription service providing the must-have Asian beauty products to those who may not have their readily available for purchase for just $12 a month! 3B is based in the United States, and currently only ships within the States, but they are working on branching outwards internationally (so keep an eye out on their Facebook page for updates). I have more details about this subscription and how to sign up in my first review of 3B. Let's take a look at the March 3B Bag! One of our favorite premium skincare products, this gel-like toner will be a luxurious treat for your skin. Developed to deliver deep hydration while immersing your skin in a veil of essential nutrients, restore your skin's optimal pH balance with this cult favorite. Spread this toner on palms and gently press into skin until absorbed. Can I just say how awesome it is to finally be trying a product from Sulwasoo? This brand is raved and yet I can never find a single item to splurge on since the price point is so high. I love that I get to try two of these products in one bag and give myself a taste as to whether I think the brand is worth the splurge. This balancing water has a bit of a musky scent to it. Not too overpowering, but if it didn't dissipate after application I could see if causing a migraine for me. The water absorbs quickly, leaving behind no sticky residue, nor any noticeable moisture either. It is slightly cooling to the skin, which is nice after washing, but feels drying if you don't add something soon after. (Thank you twocatsinjapan for pointing out that this product is full of alcohol! Thank goodness this was a tiny sample and I did not get much for my face! This moisture-rich emulsion (a light moisturizer) is formulated with Korean medicinal herbs to improve skin's ability to maintain water. Mountain peony prevents dehydration while yai jiu hua extract promotes circulation and improves radiance. 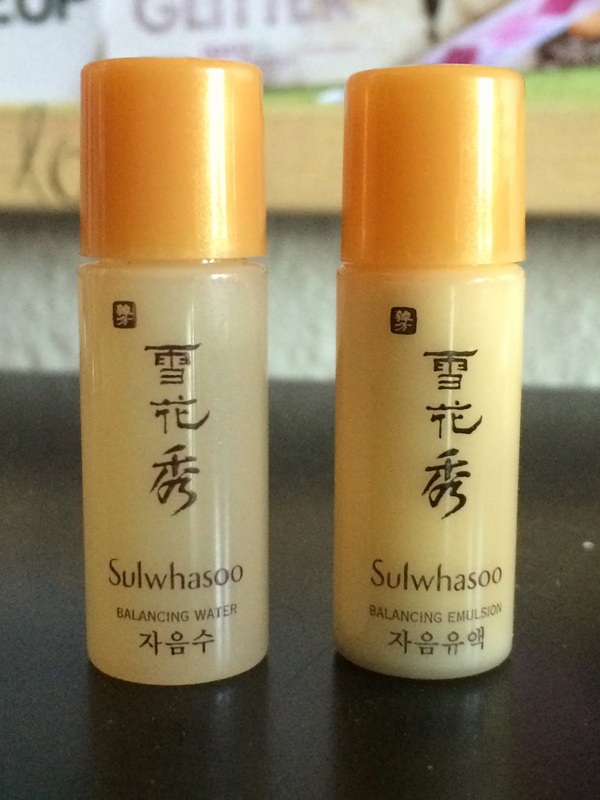 Apply after Sulwhasoo Essential Balancing Water. This emulsion also has a light scent, but this one is more fresh smelling with a hint of citrus and spice. I found it extremely difficult to get out of the container and took a lot of tapping on the back of my hand to remove such a tiny amount. I ended up sticking a q-tip into the bottle to pick a tiny amount up and then smoothing that onto my face. It was thicker than I imagined, but still thinner than a traditional moisturizer. It was sticky-feeling while I massaged it into my skin but absorbed completely after about 30 seconds. This one does leave behind a bit of a lingering citrus scent, but it does dissipate after an hour or so. The moisture it leaves behind is very light, even my usually oily skin needed another moisturizer on top. (Thank you twocatsinjapan for pointing out that this product does contain alcohol! Thank goodness for small samples, right? 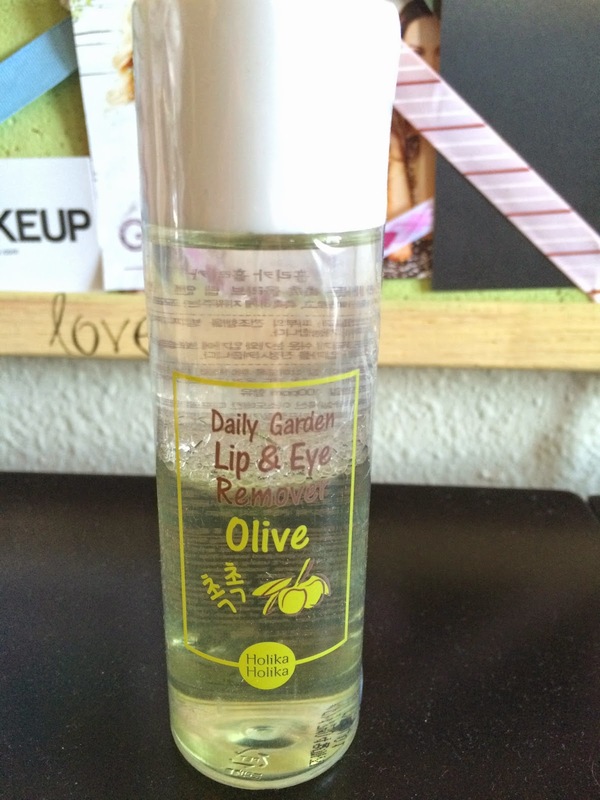 Use this Holika Holika lip and eye makeup remover to wipe away heavy waterproof makeup. Shake well prior to usage. Dampen a cotton pad with a generous amount of product and press onto eyes or lips for about 15 seconds. Gently remove your makeup using a pressing motion. This overnight mask contains pumpkin extract, beta carotene, and vitamin A to rejuvenate your skin while you sleep. Take this product and apply generously over face (be careful to avoid the eye area). Leave the mask on overnight and wash off in the morning for extra nourished and moisturized skin. History proves that I don't react the best to products with pumpkin, but I've been dying to try this product for a while now, so I used it anyway. It comes in the most adorable packaging (look at that little pumpkin face!) and is light pink in color. It has a very light perfume scent to it, which was surprising and slightly disappointing as I was really hoping for something pumpkin spice scented. This pack has a very thin consistency that actually absorbs into the skin within a minute of application, even over the rest of your skincare routine. My skin did not have any type of reaction to this overnight, but I also did not notice much difference in the morning, perhaps just a bit more brightness? As we head into spring, treat your lips with this rosy tinted balm! The unique formula seals in moisture while delivering a pretty pink gloss to the lips for a natural look. Extra creamy, highly moisturizing, with a sheer raspberry finish. I think this is my favorite product this month. 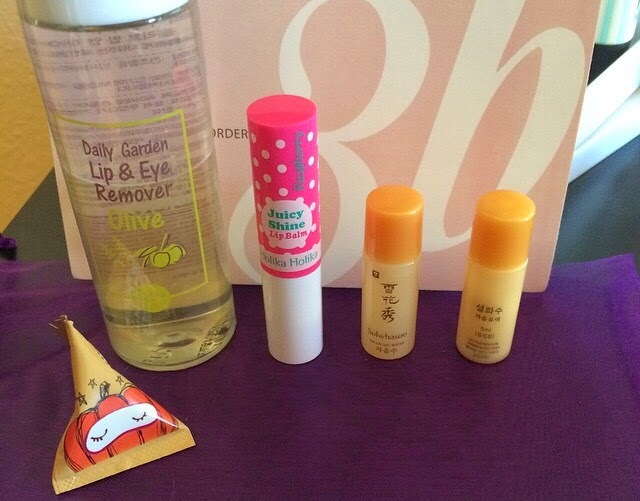 The packaging for this lip balm is too cute, I just love it! I noticed the cap says "Raspberry" which ended up being super helpful as I tried to place which fruit this smelled like - yes, it really smells like sweet fresh raspberries! This is a nice lip balm that really is super hydrating, it's not sticky, it lasts a while, and provides a nice natural pink tint while offering a bit of glossiness to your lips at the same time. My lips have found a new love. Do you subscribe to 3B? Did you enjoy this months bag as much as I did? If you're new to 3B, head to their website and join their waitlist! Wow, thank you! I didn't look very hard to find them, but I thought I noticed a bit of an alcohol smell in the water, then I thought it was the perfume. I guess now I'm really glad that we only got tiny samples. I had loaded my face up with Paula's Choice 9% BHA the past couple nights so that probably helped my skin not freak out lol. Glad it didn't hurt you. That crap nearly fried my face. It was like patting my face with a shot of oddly perfumed vodka. Actually, it's disappointing that those are the two Sulwhasoo samples they had this month. Those are probably two of the crappiest Sul products out there. I've very happy I didn't hurt my face more, but my face has already been in a sad state this past week so I'm thinking everything else I've been doing to heal the damage already there counteracted the damage that would have been done by these products. I agree though, this month wasn't very good. I did like the lip balm and the sleeping pack, but the sleeping pack (based on the sample) isn't something I'd purchase and the lip balm is hardly worth the $12 I paid. The past 3 months were much better!